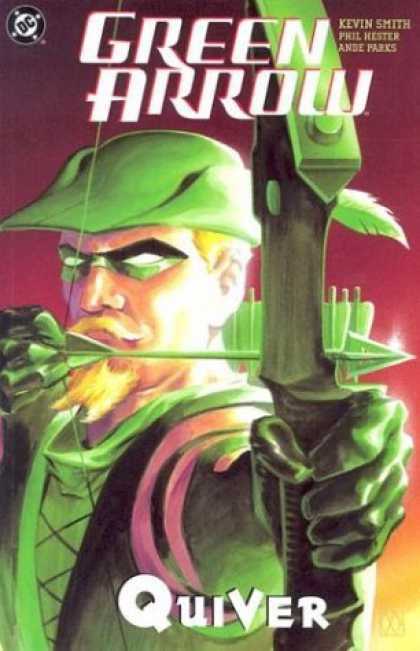 Green Arrow is a character I’ve always liked, because for a long time he was of of the fewDC heros that I would say had any real character depth. He’s abrasive, passionate, and has numerous flaws. In short, he should have been published by Marvel. He’s never taken off from a sales perspective, and DC finally decided to smother their grandma with a pillow and killed him off in 1995. 5 years later, they brought him back . They enlisted Kevin Smith, who had a bit of a rep as a character saver due to his work on Daredevil, to do the deed. He concocted an extremely convoluted, yet entertaining epic that brought Oliver Queen back from the grave. It was a huge hit, and since then GA has been a prominent part of the DCU. This is often considered one of the great DC stories of the 1980’s. Keep in mind the context of the time. Year One, Watchmen, and Dark Knight had been huge successes, and so DC did numerous reboots that brought some of their characters back to their grim and gritty roots, even those that had never had grim and gritty roots. This brings us to Green Arrow, and The Longbow Hunters. GA and Black Canary move to Seattle, and even though she used to be a member of a group that saves planets on a regular basis, Canary gets kidnapped by drug dealers and GA has to save her, which isn’t so good for Black Canary, but did turn out to be pretty good for Gail Simone, who ended up making her career on fixing the damage done to Canary in this story. Arrow goes a little nuts, and there’s a lot of complicated spy stuff that isn’t very interesting, and this sets the tone for Green Arrow stories for the next 7 or 8 years. 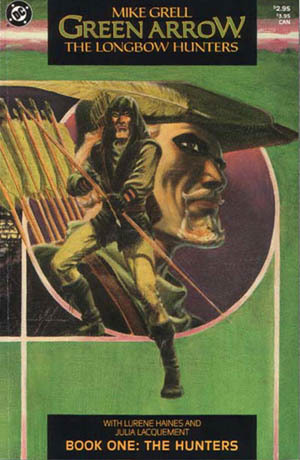 When I compare this to some of the more recent Arrow stories, I can’t say that this is a very good book, though Mike Grell’s artwork here is stunning. For me, I prefer fun and cocky Green Arrow to angry and brooding Green Arrow. Not that I don’t want emotional conflict in my superhero books, but the GA stories around this time seemed to fit Batman much better than they did the Emerald Archer. Again, this might be more of a personal taste thing than anything else, but this incarnation of Green Arrow just leaves me cold. KEEP, just barely due to the great art and the importance of the series. So now GA has been dead for 5 years, and his son has been wearing the mantle of GA in his absence. Only problem is, he’s extremely boring. So DC decided to bring back the original, and got Kevin Smith and Phil Hester to do it. To my surprise, there’s still a LOT to love about these trades. They require a pretty serious love of obscure DC continuity, and Kevin Smith uses every single DC character he’s ever heard of in an attempt to really bring Ollie back in style. Smith really had a knack for this character, and this arc would be the basis for Ollie Queen’s characterization for most of the next decade. There’s also plenty to hate here. Kevin Smith never met a word balloon he didn’t love to fill, and his inexperience with the medium is apparent time and time again. Every page is crammed with text and art, and the story is so busy that sometimes you forget to breathe. 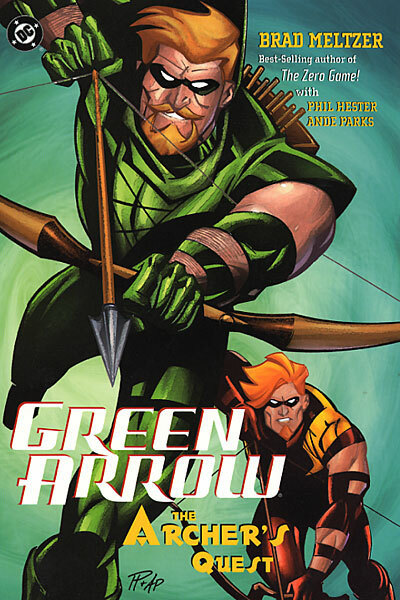 That being said it’s still a good “back from the dead” story, and Phil Hester’s art is what I’ll always think of when I think of Green Arrow, mostly due to his stellar work here. For the follow-up to Quiver, DC enlisted well-known novelist Brad Meltzer, to write his very first DC story. Since then he’s written numerous arcs for DC, but this may still be his best. 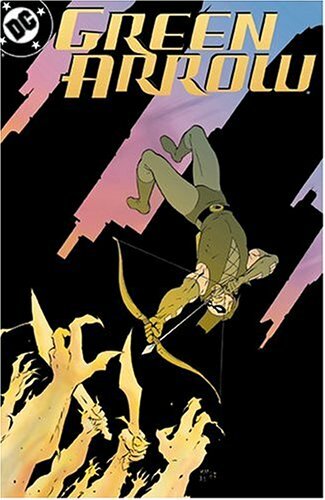 It’s essentially a love letter to Dennis O’Neil and Neal Adams famous “Hard Travelin’ Heroes” Green Arrow/Green Lantern stories of the 1970’s, and remains one of my all time favourite Green Arrow arcs. It’s a story that really shows off how many shades of grey that the character has, and is must reading for any DC fan. Phil Hester is still doing the pencils here, and still knocking it out of the park. So having guys like Kevin Smith and Brad Meltzer write your books is great when you’re trying to create interest in a character relaunch, but when it came time to finally get a permanent writer for Green Arrow, DC went to Judd Winick. Winick seems to be one of the most hated writers in comics. Now, you should take that with a grain of salt, as the same people who call for a writer’s death are also the same people who are buying every book that writer is involved with. It makes no sense, but that zombie-like habitual buyer is part of the reason why comics is in such a state of flux right now. Now, I happen to like Winick’s writing for the most part. I find him to be an extremely character focused writer, and as such he comes up with occasionally unconventional scenarios for his characters, and his story arcs tend to focus on the emotional after effects of superheroics, rather than the actual superheroics themselves. To that end, Winick created a rich supporting cast for Ollie here (His son Connor, the new Speedy, a great new villain in Brick), and spent several years building up the notion that Ollie Queen had an extended family in the truest sense of the word. Now, that’s not to say the run is perfect. It loses steam near the end of the series, and the art is very inconsistent in places (though seemed to get better when Scott McDaniel took over the penciling duties. But all in all this was a good run for a mainstream superhero book. 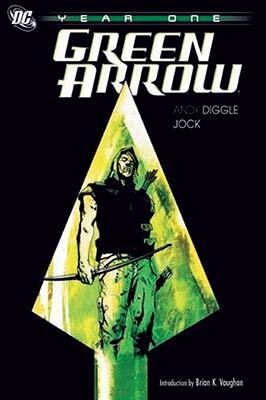 Green Arrow – Year One. Although GA is one of the most interesting characters in the DCU, he also has one of the least interesting origins in the DCU: He was rich, got stranded on an island, and then when he got off the island he became a superhero. So by that logic the cast of survivor could apply to be in the Justice League. Andy Diggle and Jock attempt to salvage something interesting out of it, but to no avail. So imagine you are an editor at DC comics. You have lots of popular characters, but lots of those characters can’t actually sustain their own books. Two of your writers have spent the last several years rebuilding two of these characters from scratch, and brought them to the point where they both have successful books that are also critically acclaimed. So what do you do? If your answer is “Cancel both books and completely fly in the face of the last 5 years of characterization and have those characters marry each other and then start a new book with the two of them that isn’t remotely as interesting as the books you cancelled?” then you should be in charge of DC Comics. 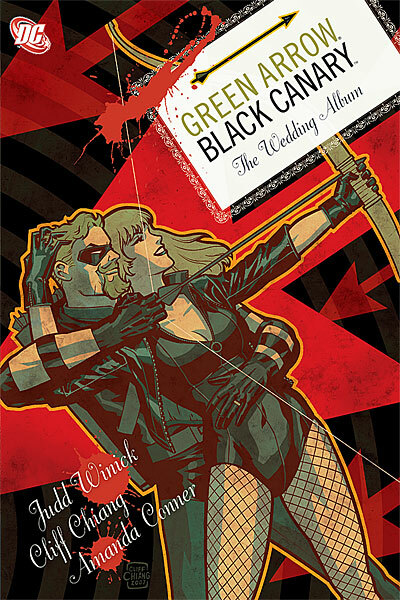 Yep, they married Green Arrow and Black Canary (yes, technically they didn’t cancel Birds of Prey until later, but the removal of that character from the series was the first real nail in the coffin of that book), the two characters least likely to actually settle down in a monogamous relationship in the DCU. Batman and Superman would make a better couple. But they did it, and so it was Judd Winick’s job to salvage the baby from the bath water. While I’ve read MUCH worse, and this wasn’t a horrible series by any means, it also wasn’t great, and from the beginning of the arc the whole thing screamed “EDITORIAL MANDATE”. I’m keeping the first arc that features the wedding, but getting rid of the rest. This entry was posted in Comic Books and tagged Black Canary, Brad Meltzer, Comics, DC, Green Arrow, Judd Winick, Kevin Smith. Bookmark the permalink.